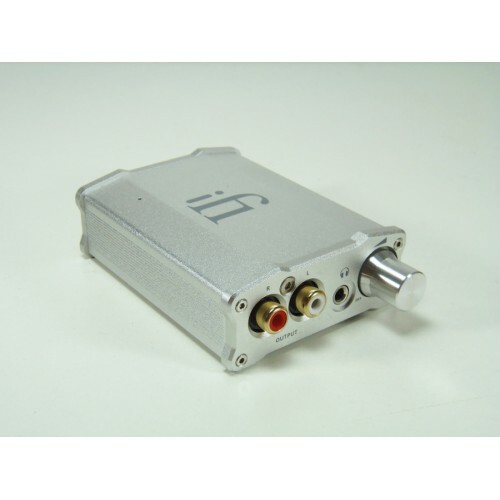 The iFi nano iDSD is a small, portable (only 163g), battery-powered, serious DAC that plays ALL high-resolution formats: PCM/DSD/DXD natively. Its portable form belies its leading-edge technological design. With the latest breakthrough True Native® technology from AMR, the Nano iDSD is compatible with PCM files of up to 32bit/384kHz, DSD256 and DXD 384kHz. In a palm-sized chassis with an onboard lithium-polymer battery and headphone output, the iDSD is as extraordinary ‘on the go’ as it is in a quality home system.